My grandmother is 97 years old and is in a care facility and sick. I brought her a potted flower, herb garden, and bird seed for her feeder. She enjoys watching the bees, butterflies, hummingbirds, and squirrels visiting her outside garden through the warm sunny window because it puts a smile on her face, makes her feel better, and is therapeutic while she is in bed. Being around plants and nature helps to heal you. All my life I have been a lifelong gardener. Being outdoors refreshes my mind, spirit, and soul. 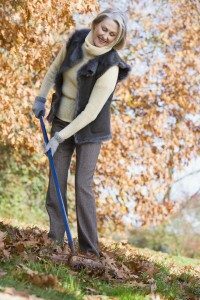 There are so many tasks in the garden that employ healthy, physical activity it is endless. When I work (or should I say enjoy myself in the garden) I use all my muscles. I grab a pair of pruning shears and trim back the fragrant Star Jasmine vine. Pruning helps with hand eye coordination and dexterity. Having fragrant plants around (like Star Jasmine when in flower) produces a wonderful aroma that puts a smile on my face. When moving or lifting something properly, I use my back and leg muscles which is like lifting weights. I may grab a shovel and start planting, or a rake to clean the leaves which is an excellent aerobic exercise. The action of walking back and forth to and from different areas in the landscape is a great way to shed extra ponds. Bending over and pulling weeds, mowing the lawn, spreading compost around the garden, and cultivating the soil are other great exercises in the garden that help tone my body while at the same time connecting with nature. I know, it sounds wrong, but it is a fact that exposing yourself to dirt and germs (a limited number!) can actually help you build a healthier immune system and protect against illnesses. Unrolling and rolling up the hose gets my arms moving. To me, the act of watering plants is refreshing, relaxing, stress reliving, and soothing. Planning my next planting bed or gardening project is a great mental exercise that employs concentration and goal setting. To me gardening is rewarding and gives me a sense of satisfaction, pride, accomplishment, pleasure, and motivates me. When I grow something, work the soil, and prepare the beds, it may be hard work and exhausting but when the plant blooms, produces fruits and vegetables or becomes beautiful, I know I have achieved something great, worthwhile, it puts a smile on my face, and I get a “natural high”. When I am gardening I have an ever-changing outdoor learning laboratory that is constantly evolving, growing, expanding, and living. I find it fun and rewarding to find neat and interesting plants in other areas and discovering their attributes which fuels my curiosity, passion, enthusiasm, and drive. It is usually recommended that 2 1/2 hours per week of exercise is satisfactory to keep you physically fit and gardening does that. When life gets too hectic, I take a breather and ease myself by sitting under a majestic Oak tree that shades the backyard while listening to the birds sing to their hearts content, it’s peaceful. Breathing in fresh air, and being around plants makes me happier, improves my mood, and revitalizes me. Gardening for me is my lifeblood and being outside in sunshine infuses my body with much needed Vitamin D that is so important for the immune system health and helps the body absorb calcium for strong bones. Mentally, Vitamin D can also alleviate symptoms of anxiety or depression. The act of working with plants lowers cholesterol and blood pressure. Being one with nature and the plants gives me an appreciation for what this earth has to offer and makes me realize how important plants and the soil are. We are all influenced by plants in our everyday lives. The clothes I wear comes from cotton which is a plant that grows in the soil. The food I eat comes form a plant and the plant grows in the soil. The furniture I have in my house is made out of wood which comes from a tree. 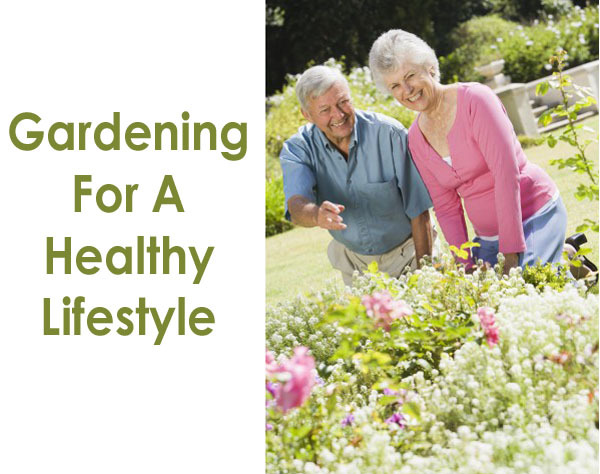 Gardening keeps me physically active, mentally strong, and aware. Just imagine what the world would be like without plants, it would be bleak, depressing, and morbid and no one wants that. Did you know that 77% of people garden and it is no wonder that this practice brings joy to the world around them. Plants absorb odors, pollutants, gases, dust, wind, and reduces glare. Some plants can cool an area by up to 10°F, by shading our homes and streets, breaking up urban “heat islands”. Plants add an opportunity for community involvement and empowerment that improves the quality of life in our neighborhoods. Other plants can muffle sound from nearby streets and freeways making the area more desirable to live in. They create an eye-soothing canopy of green and provide relaxation and stress-relieving responses to the human body. We feel serene, peaceful, restful, and tranquil surrounded by plants. When I observe people in the nursery browsing the plants they are generally more happier and relieved. Young children from elementary schools tour the nursery with their teachers to learn about plants at an early age indicates that gardening can be done by all ages. Being around plants encourages romance, togetherness, and adventure. Gardening is practiced by everyone in one form or another. Whether it be a few patio or balcony plants in pots or a plant or two inside the house or a large scale development outside. Growing your own fruits, vegetables, herbs, and medicinal plants encourages a healthier lifestyle and better eating habits. Growing herbs and flowers, even in a couple of pots at your city home, connects you to nature. People who are unable to have their own garden often times visit gardens and plants outside, marveling at them from books or virtually through a computer. People are enthralled about the outside world and the amazing things this world has to offer. People flock to areas where amazing plants show off there incredible display whether it be an amusement park, natural area, park, national park and even hotels/resorts. Gardening improves the quality of life, it is a source of inspiration, learning, and peace. Being in a garden setting, is calming, wonderful, and shows the appreciation what this wonderful earth has to offer. Gardening can also give you the feeling that you have done something good. So, I encourage everyone to be one with nature, be outside with the plants and garden. Head on down to your favorite Green Thumb Nursery and be healthy.